Crikey, that wave was bigger than I thought! You are here: Home / Bassets / Crikey, that wave was bigger than I thought! Swimming has not been a strong point for Fortnum and Mason but big basset is getting braver as far as paddling goes. I’ll have him out on a surf board before the week is out. 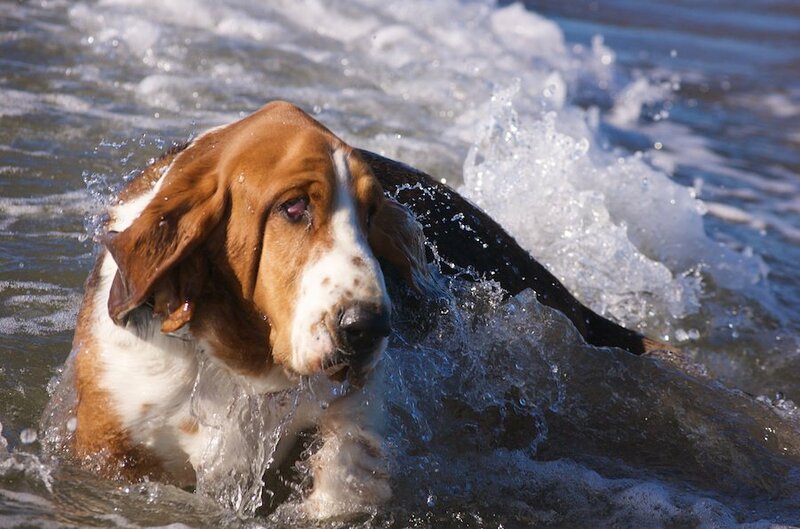 That’s if he recovers his nerve from this over basset sized wave.